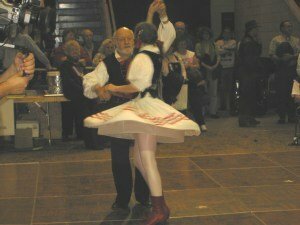 Monique Legaré and late husband Dr.Morley Leyton, winners of the 2003 Pennsylvania State's Polka Dance Championship,	PA Farm Show. 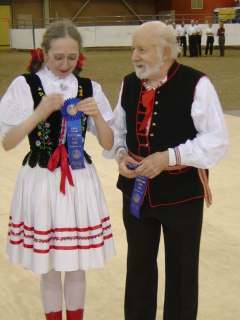 Monique Legaré and late husband Dr.Morley Leyton, winners of the 2004 Pennsylvania State's Polka Dance Championship,	PA Farm Show. In 2002, the State of Pennsylvania declared the Polka the "Official State Dance" of Pennsylvania. The style Monique teaches is called the Polish American East Coast style and is commonly done by polka dancers of Polish heritage althought this style of dance was born in America and is not done in Poland. Monique has performed the Polka on TV Channel 44 and various Polish and Social Dance events. She taught the Polka at various Folk festivals, Polka weekends and Social Dance clubs.